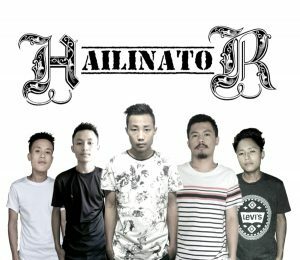 The newest band in town, HailinatoR was formed in the month of August 2018 with a motive of spreading love and peace through their songs. Just few months after its formation, the five member band has already released their debut single, ‘For A Reason’- a song that depicts one’s longing for a better future. Excitingly, the band during the interview with Eastern Mirror’s rhythm of love disclosed their second single titled ‘Stranger In My Heart’ which is set to release soon. The band believes that, ‘nothing is possible to achieve without effort and dedication’. Read on to learn more about the band. EASTERN MIRROR: To start with….a brief intro of your band. motive behind the band is to spread love and peace through our songs and music. EASTERN MIRROR: Line up of the band members. How did you meet? 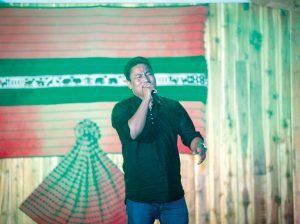 HailinatoR: The band consists of five members; Impang Jamir and Jongpongtemsu Longkumer on vocals, Ayok Lkr on guitar, Henmei Phom in drums and Hamong Phom on bass. There isn’t any music academy or musical institutions where we met since we’re all self taught. But we came together as a band through some social/academic institutions. EASTERN MIRROR: What’s the ultimate direction for your band? And what was the vision behind the band? HailinatoR: Like any other musicians we want to be successful in what we do. It’s good to do something which we have desired since childhood and should always aspire to achieve our goals. There’s no particular vision behind the formation of the band. But writing some new stuff and adding some melodic tunes into the music hub is always great. EASTERN MIRROR: Who are your biggest influences? HailinatoR: When it comes to influences, there is no particular band or musical genres we are very into. We are influenced by different musical genres and styles. But if we’re are to mention they would be- Dream Theater, Avenged Sevenfold, Metallica, Mr. Big are some. EASTERN MIRROR: As a band, what has been the biggest challenge? HailinatoR: As a beginner it’s not an easy route to compete with the legends or musical experts in the same arena. In addition our academic career is one. EASTERN MIRROR: What is your debut “For A Reason” all about? HailinatoR: Our song “For A Reason” is all about injustice and evils that are present in our social atmosphere. The lyrics depicts one’s longing for a better future. We’re often captivated by materialism which is the root from which the tree of hatred/ corruption stands so firm. EASTERN MIRROR: Who writes the songs? And what are the things that you mostly focus on when it comes to composing songs? HailinatoR: Till now we’ve composed two songs [For A Reason and Stranger In My Heart(releasing soon)]. Our song is available on Indihut (website). The songs were written by Jongpongtemsu Longkumer. When it comes to composition I mostly pen my words on daily life experiences. The struggles and excitement one undergoes which can also relate when it comes to love drama. EASTERN MIRROR: What advice would you have for someone wanting to follow in your footsteps? HailinatoR: One very common thing is that nothing is possible to achieve without effort and dedication. We often tend to give up and let failure overcome us. We all know life is a battle, there are many ups and downs but don’t ever stop believing in your dreams. Simply build a bridge between you and your destination and within that journey keep fighting and stay strong.